The Finance Digest Brand of Excellence reflects the excellence within the Global Financial community. Each year, Finance Digest seeks out organizations and individuals that contribute significantly to the convergence of economies and truly add value for all stakeholders. Reporting from the frontlines of economic convergence. Finance Digest realises that best practice is to acknowledge the excellence within the financial world. The brand of excellence Program aims to identify and reward excellence wherever it is found in the hope to inspire others and to further improve their own. The entire Finance Digest Brand of Excellence process is free of charge. This includes the participation, selection and announcement on the website. Initially, our research team will scrutinize the entry to ensure that it meets the specific criteria for the selected category. If it does, then the judging panel comprising of the research team and the Publisher will evaluate it along with the other entries received for that category and will in their reasonable judgement select a winner. Finance Digest Brand of Excellence are presented on an ongoing basis throughout the year for those countries, regions and sectors from which entries have been received. Participation can be done by companies by filling the participation forms. Only entries which have been received are considered for our Annual Finance Digest Brand of Excellence. Companies of all sizes regardless of their niche are welcome to participate. Companies are not restricted to participate only in pre-selected subcategories thus permitting niche areas to be identified and the achievements of nominees in those areas to be acknowledged. 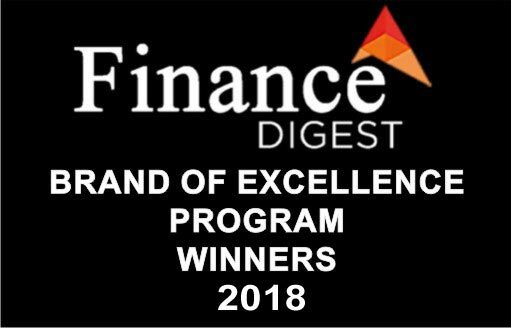 The Finance Digest Brand of Excellence Program has evolved and grown to include those in, Leadership, Banking, Foreign Exchange, Insurance, Hedge Funds, Pension Funds, Compliance & Advisory, Corporate Governance, Brokerage & Exchanges, Project Finance, Binary Options, Investment Management, Technology, Asset & Wealth Management, Islamic Finance, Exchange Traded Funds, Real Estate, Corporate Social Responsibility among other areas. We look forward to receiving your nomination.